Well known by the botanical name of 'Prunus persica' it is yellowish green to olive green in appearance and has a Herby, fruity, honey like characteristic ordor. 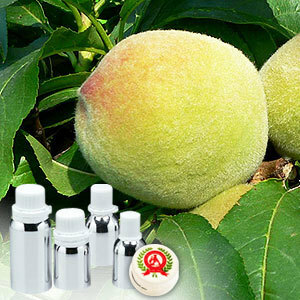 Extensively used in the perfumery and cosmetic industry, it is extracted from peach-tree leaf through steam distillation process of the resin. Carotenoid Complex, Flavonoid Complex, Cruciferous Plus. beta-, alpha-, gamma-, zeta-, and cis-beta-carotenes, lutein, lycopene and cis-lycopene, alpha-cryptoxanthin & beta-cryptoxanthin, flavonols, pro-anthocyanidins, flavanones, isothiocyanates, elagic acid, sulforaphanes, indolecarbinols, isoflavones including genestein. 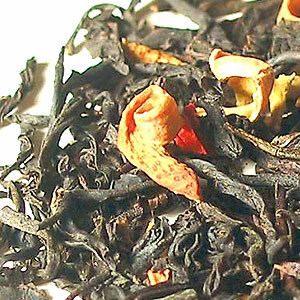 Peach Tree Leaf Absolute comes with anti-aging antioxidant that protects the immune system from free radical damage of lipid cells. It also helps in protecting the watery portions inside & around cells as well as ensuring supply of nutrients that work with naturally-occurring hormones & enzymes to promote good health.